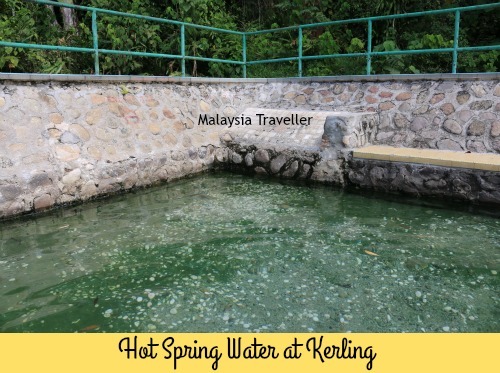 Kerling Hot Spring is a naturally hot spring (kolam air panas) located near the small town of Kerling in northern Selangor. 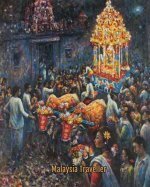 This place is popular with locals especially during school holidays and public holidays. 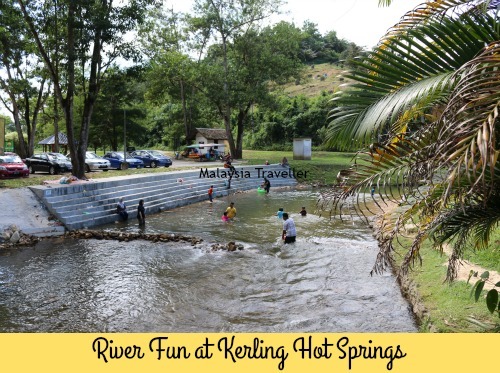 On the day I visited, most people were more interested in bathing in the river which runs alongside the spring, rather than the hot spring itself. The river is shallow but fast moving and clean. 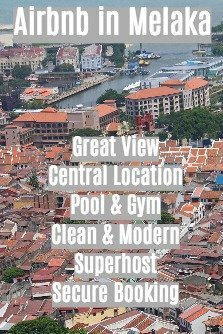 It looked a safe place to swim but obviously care needs to be taken during the rainy season or heavy downpours. The river bank is reinforced with a set of concrete steps to make it easier to get in and out of the river and to provide a grandstand for spectators to watch. The hot spring itself is enclosed in a rectangular pool with stone and concrete walls and surrounded by safety barriers. The spring water was hot but bearable. 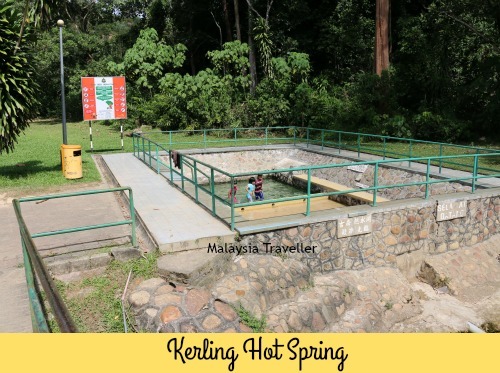 Opening hours are not restricted but the hot spring is scheduled to be maintained from 8.30am to 9.30 am everyday and again from 2.30 - 3.30pm on Saturdays and Sundays. I have marked the exact location on this map: (click on the View Larger Map symbol in the top right corner to expand). 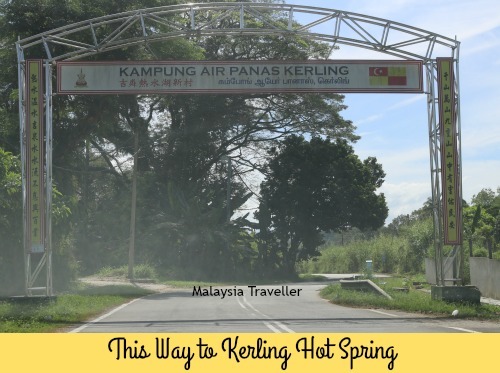 From Federal Route 1, look out for the signs to Kampung Air Panas once you reach Kerling. The road passes through Kg. Air Panas and then on a narrow road for a further 1km. The route is signposted all the way.